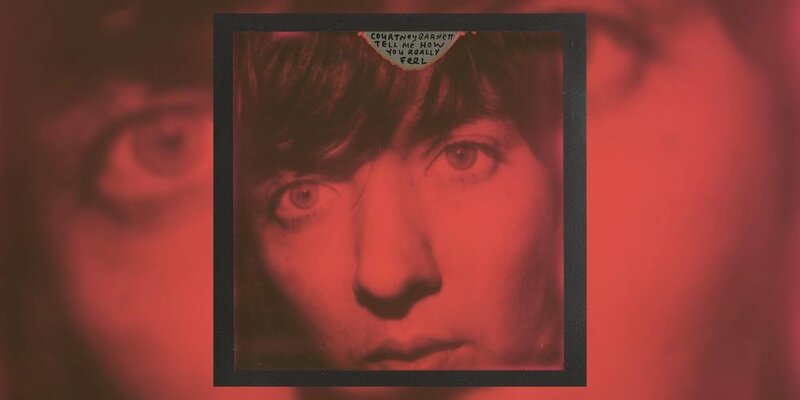 Courtney Barnett entered the music scene with plenty of hype and nearly instant credibility with her single “Avant Gardener,” off 2013’s The Double EP: A Sea of Split Peas. Her dry sense of humor and portraits of suburban ennui drew comparisons to Kurt Cobain and Stephen Malkmus. Barnett followed up with the excellent Sometimes I Sit and Think, and Sometimes I Just Sit. Her intimate, creative songwriting and modern guitar earned her a spot on the festival circuit and most year-end Best Album Lists in 2015. Tell Me How You Really Feel is Barnett’s second solo album, not as sparse and snarky as her debut, but more ruminative and confident. Stoner slang and bone-dry delivery are still Barnett’s vernacular, but Tell Me How You Really Feel is a more straightforward rock album. Lyrically, Barnett comes off as well-read, pretty funny, and taken out to sea in a wave of her own thoughts. The world’s most cheerful cynic, Barnett shreds like Jack White, and lands lines like “you must be having so much fun” as a bomb of an insult. In “City Looks Pretty,” lines like “strangers treat you like their best friend” speak to the intimacy of her lyrics and the false confidence of fandom. It’s a great song, with a long, wistful end, that feels a lot like Barnett’s debut. The uptempo drumming and slightly distorted guitars chug along in her signature style, like an easier-to-love Pavement. The sneaky feminist anthem “Nameless Faceless” starts with swingy bass and upbeat snare that become distorted with the chorus. The refrain echoes a Margaret Atwood quote, the iconic indictment of male violence, “Men are afraid that women will laugh at them. Women are afraid that men will kill them.” The feeling that most women know well, the need to be armed against ordinary situations, is articulated on top of a pop rock hook. It’s funny and mean and really good. “Sunday Roast” is tender kindness, a pep talk. The gentle line, “I know you're doing your best / I think you're doing just fine,” could be reassuring a friend, or a personal mantra. It’s a great way to end an album, with words of compassion. It’s no wonder listeners feel a deeply personal connection with Barnett. On Tell Me How You Really Feel, Barnett’s rambling inner-monologues are less manic, more methodical. There’s ample feedback, winding jams, and comfortable, easy rock. She’s more attuned to her feelings, effortlessly talking about the parts of life that are normally labeled as a bit of drag, instead of just part of the human experience. But Tell Me How You Really Feel is not Barnett’s thesis; it’s simply a good album from a great songwriter, and hopefully one of many. The ability to talk about emotion in a concrete, expressive way, while staying miles away from sentimentality is rare. But it’s apparently second nature to Courtney Barnett.